Years ago while browsing Slashdot, I came across a recipe for chai in one of the comments. I'd never tried chai before (this was before Starbucks had infiltrated South Carolina), so I copied down the recipe and made it. 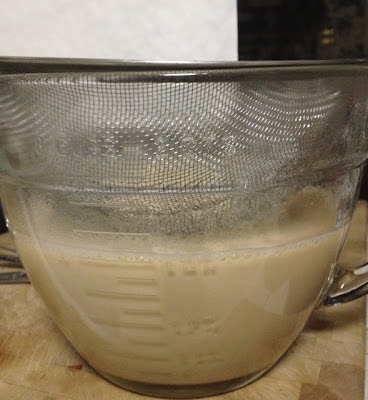 The recipe was imprecise, using measurements like "2/3 of a latte mug" instead of cups or milliliters. 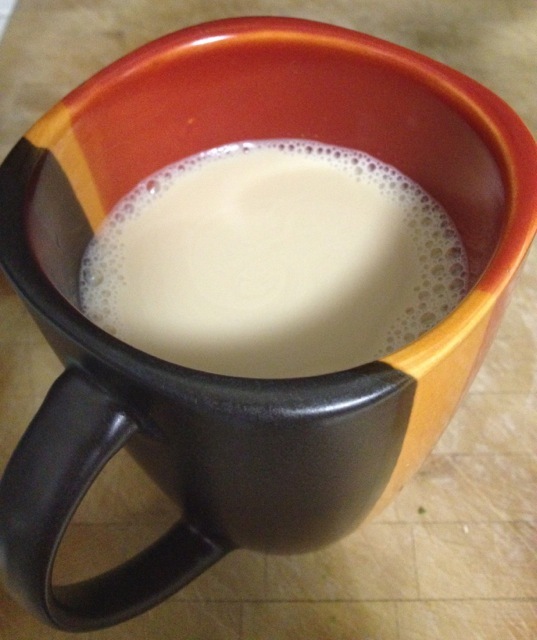 But the resulting chai was rich, spicy, and delicious. I adjusted the recipe to make it a touch less sweet and more tea-y and to have more familiar measurements, and now it is my favorite cold-weather beverage. Every other chai I've had since has paled in comparison. I've also had good luck using Splenda, skim milk, and decaf tea with this recipe. It's very forgiving, so adjust it according to your tastes! Pour water into a small sauce pan. Add spices and a few grinds of black pepper. Bring to a boil, then simmer over low heat, covered, for 10 minutes. Add sugar and milk, stir well, and return to a near-boil. Turn off heat. Now add black tea, cover, and steep for about 7 minutes. Strain and enjoy. Makes 4 cups (about 3 servings). can get a little messy! Oh man, yummy! I had kind of forgotten about chai. Thanks for the recipe! I'll give it a whirl. I have a lot of ideas rattling around in my head. I've decided to see what happens if I write them down and share them. This work by Susanna King is licensed under a Creative Commons Attribution-NonCommercial 3.0 Unported License unless noted otherwise.